Looking for the I ❤YA/NA Scavenger Hunt? Author of The Blue Eyes Trilogy, The Day Human Trilogy, and The Chalcedony Chronicles. Book One of "The Hunter Trilogy"
As the son of a single mother (who also happens to be a legendary night human hunter), Jax has only ever known a lifestyle of combating the things that go bump in the night. As he comes to realize that there will never be a place for him in the matriarchal world of the hunters, Jax decides it's time to step out from under his mother's shadow and discover his own past. His plans involve seeking out his long-lost father, the source of an inheritance that his mother had kept hidden from him his whole life. His quest for answers only deepens the mystery, and reveals a life that was unimaginable. Now, Jax must decide where the future will lead. Book Three of "The Merworld Trilogy"
War is coming, and the siren are preparing. Whitney has been through night human wars before, yet she's nowhere near ready to deal with this one. The siren quickly have to depend solely on their newest member, her. It's up to Whitney to find a way to help everyone, and with her limited options, she plans to do the best she can. Now if she can just convince all the players she needs to help, maybe they will stand a chance of surviving. Book One of "The Merworld Trilogy"
Book Three of "The Skinwalkers Witchling"
Cassie wasn't happy when she got her first mate. Then she got a second mate. She'd give anything to have no mates; that is until she meets someone who once had the same fate her. 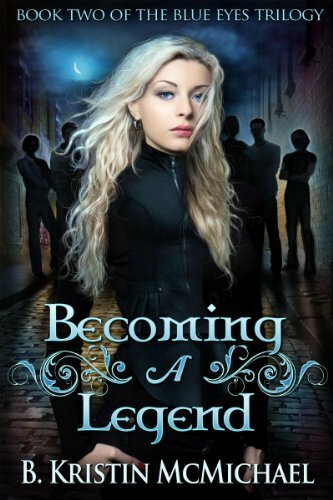 Instead of running from it, Cassie is told to embrace it and make her own choices. That is exactly what she plans to do, but how can she make choices when she never seems to have all the details? Something more is happening, and this time, the wendigo are not part of it. The peace Cassie brought between the two clans is very thin. She must work quickly to find a solution, but there always seem to be more questions than answers. 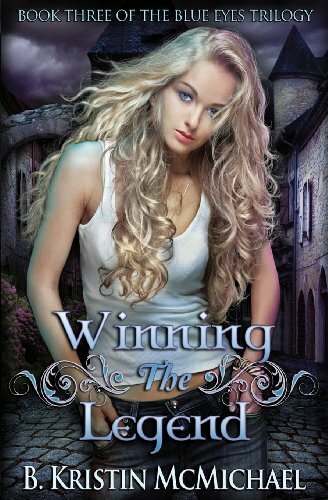 Book Two of "The Skinwalkers Witchling"
Cassie is part of it now, and that isn't necessarily a good thing. Turns out, she may not want to join the coven, but that's exactly what she did when she bonded herself to Nate. After a road trip to get answers, Cassie only has more questions. Too bad there's no one left at home to give her answers. Now Cassie must make life changing decisions alone while trying to find out where everyone has gone. Not too much work for a sixteen-year-old who knew nothing of the night human world only weeks before. At least, Cassie has to hope it isn't too much because she doesn't really have anyone left to ask for help. It's time for her to stand up on her own. Book One of "The Skinwalkers Witchling"
Witches, potions, and magical spells-that all made sense, but men turning into animal-like monsters in the middle of the night? That had to be fiction, right? Wrong. Cassandra Booth thought her world of witches would be complete when she joined her coven. Fate didn't plan to let that be the case for her. Joining the coven brings new knowledge, like mates and men as animals, all things Cassie would rather not know. As her plans unravel she must find a way to join the coven without committing her life to a guy she once was friends with and now hates. Book Four of "The Chalcedony Chronicles"
Mari's travels have finally brought her home. First she found her father, and then just like every child's dream that lost a parent when they were young, she even got to reunite her mother and father. Everything is perfect and just as it always should have been, except for one little detail: Kye. Kye had made it clear that for the future to be correct, things should be different. They aren't. Now Mari is left to try to find out how to beat Logan without really knowing how to play the game. Making it home wasn't the end, but just the beginning of her struggles. Logan has not given up hope of winning over Mari. She might not want to be with him, but it isn't beyond him to do anything to keep her to himself. Logan cares for no one but her, and he is prepared to do anything to keep her. Mari doesn't agree with his feelings and can't wait to be rid of him, once she figures out how. Every time she feels they are getting ahead, Logan finds another way to ruin it. It's a race to see who can come out on top. Can Mari outlast Logan? Can Mari find a way to make sure her future is the one she wants? Book Three of "The Day Human Trilogy"
Devin thought his stay with the sidhe would be short. That soon changed when he found out that he loved Nessa, but love just might not be enough. She has other suitors, and Devin isn't sure if he wants to go through that again. Too bad for him, suitors are the least of his problems. On the eve of Nessa's coronation, Devin finds himself framed for using magic he doesn't possess. With his sidhe powers he's the only one who knows that the magic harming people around Nessa comes not from nature, but from the witches. Good thing Devin knows a witch or two himself, but will it be in time to save everything and get Nessa on the throne? Book Three of "The Chalcedony Chronicles"
Book Two of "The Day Human Trilogy"
After he assumed the power of the late sidhe king, Devin thought the battle to protect Nessa and continue with her coronation was over. Everyone feared him and he had the power to do whatever he wanted in the sidhe world. He was wrong. As problem after problem arises, Nessa finds the path to the throne is not as simple as they had hoped. Formalities must be adhered to, preparations must be made, and between all of that, Devin and Nessa must decide what to do with an obviously pregnant Fiona, who will not name the father of her child. To make matters worse, the elite sidhe are still assassinating each other. No one in the palace is safe. Who is behind the latest deaths, and can the coronation occur with the drama happening around them? Devin and Nessa's road to power might be cut short if they can't find the answers. 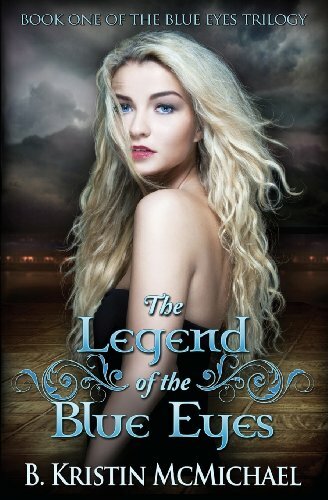 Book Two of "The Chalcedony Chronicles"
Book One of the Blue Eyes Trilogy spin-off "The Day Human Trilogy"
Devin spent his whole life training to be a protector, and that job came to an end when the Legend of the Blue Eyes was fulfilled. When he was struck by a mortal blow, only Vanessa McKinney's magical power could save him from a certain death. That power had a side effect though, and now Devin and Nessa are strangers from very different worlds who are supernaturally bound together... forever. To free himself of the bond and move on with his life, they set out on a journey to find answers in Nessa's home, the mysterious and magical world of the sidhe. Book One of the time-traveling adventure series "The Chalcedony Chronicles"
Mari is a young woman headed off to college. She's lived a typical and unremarkable life; until she becomes the object of desire of the hunky star quarterback who's known for adding notches to his bedpost. Mari commits herself to resist him, but that's not so easy when you're stuck together on the campus of a tiny and remote liberal arts college. Eventually she begins to realize that maybe he isn't who he seems, and that perhaps neither is she. You thought things that went bump in the night only exist in books and movies? So did Arianna Grace, until she became one of them. Join Arianna as she discovers and fights to survive in the world of the night humans. To be the best courier in the world, eighteen-year-old Benét Leila follows three simple rules. Too bad she didn't follow her own advice. Nalick is your typical king. He's rich, powerful, and always assumed to be right. When Leila crosses paths with King Nalick, she finds herself trapped. In a rush to save her best friend Kay from a prison sentence for a crime Leila committed, Leila trades her hand in marriage in exchange for Kay's freedom. Tomboy Leila does not want to grow up, but in three months' time, she will be married to King Nalick, if Nalick can keep his end of the bargain. First, Nalick must make Leila fall in love with him, a hard task since Leila is not ready to love again after losing her first love to a greedy king. Second, Nalick must keep her safe. He is not the only king trying to hold onto her. Leila has made many enemies over the years, and even more admirers that want her as a prize. Lastly, Nalick must convince Leila that ten years of love is better than a lifetime without. Unless Leila can trust her destiny, she might not reach her wedding day at all. For email updates, please join my mailing list! © 2013-2017 B. Kristin McMichael. All Rights Reserved.